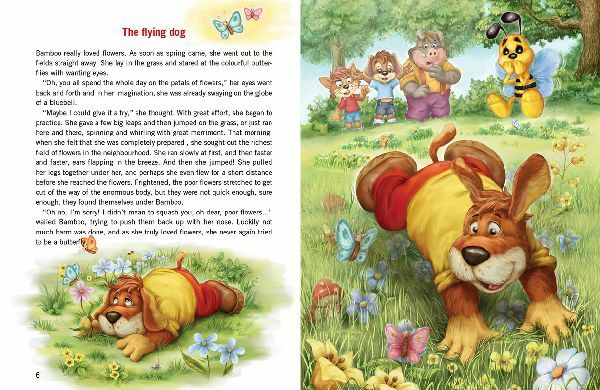 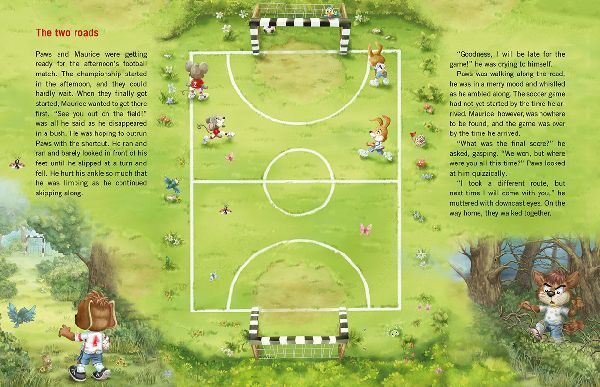 Paws the brave puppy, Maurice the bad-tempered cat, Bamboo the warm-hearted dog, Rusty the strong wild boar and Hummer the busy bee are the characters of this storybook richly illustrated with cheerful pictures. 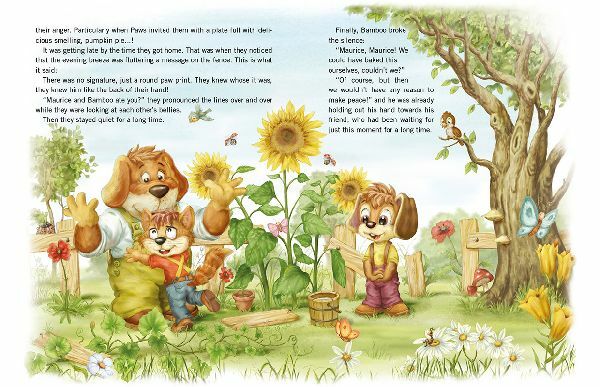 These best friends live happily in the middle of the woods, where something always happens. 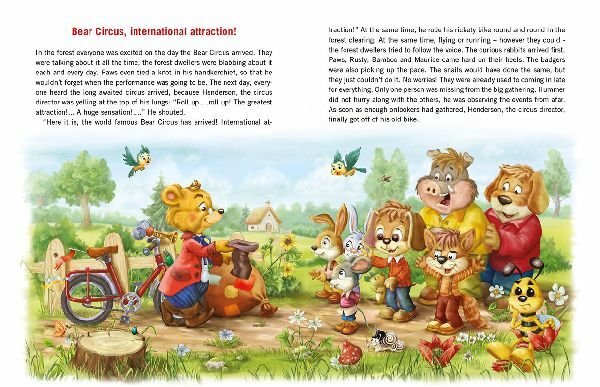 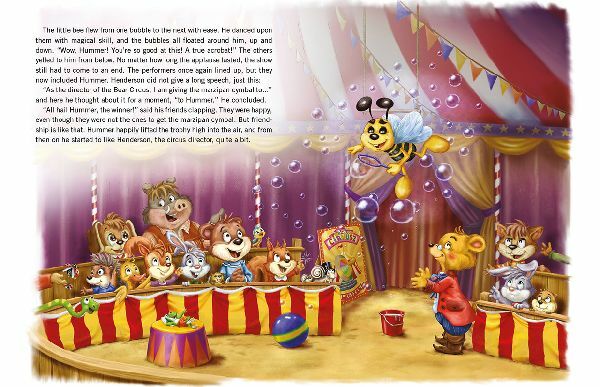 They wait excitedly for the Bear Circus, which is looking for new performers, and enter the forest cooking contest hoping to win the 'kind-hearted chef' award. 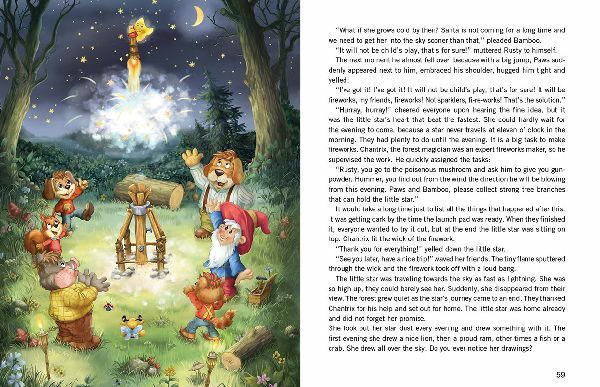 When cheeky elves invade the woods and create havoc, Paws cunning saves the forest dwellers from the uninvited guests. 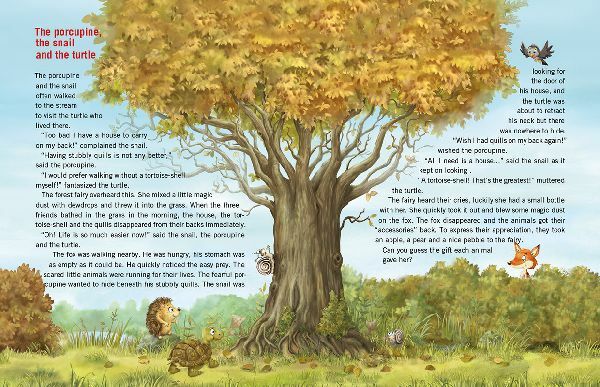 No matter how big a mess our heroes get into, it's always the straight path that leads them out of trouble. 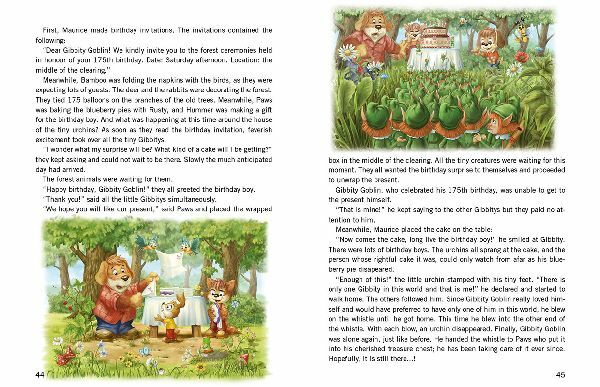 With perseverance, selflessness, hard work and helpfulness they overcome the obstacles one by one, while their captivating characters and entertaining adventures will unconsciously become a good childhood memory. 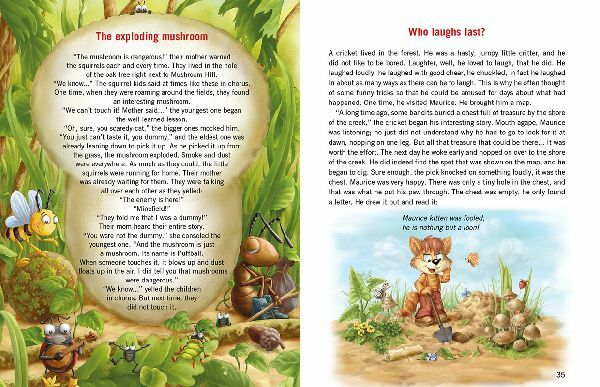 The stories of varying length and the poems are ideal for whole-word reading, and offer an excellent opportunity for children to learn to enjoy reading.